If you succeed when you use something in a first instance, you are more likely to use it again and again as long as you succeed. After Train successfully produced and released the hit single “California 37” with Espionage the Norwegian production and songwriting duo of Amund Bjorklund and Espen Lind. They once again combined forces to produce the hit song “Drive by”, which was released on 9th January 2012. The song topped music charts in the UK and the US,peaking at number 10 on the Billboard Hot 100 to become the bands third top 10 in the United States. Later the song got double platinum certification awards by RIAA for it's over 2 million sales in the US. The track lyrics were written by lead singer Patrick Monahan. 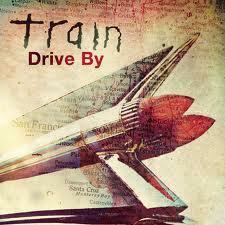 It is a song from Train’s sixth album the California 37. It was released as the album’s lead single in the US before the official album was released 3 months later. After it was released, it took another month before the song was posted on YouTube. It was posted on 15 February 2012 on YouTube and went on to have 140,763,168 views to date. The video starts with Monahan on the phone with his then-girlfriend Lind Taylor. Linda scolds him for leaving her before she hangs up the phone telling him that she has to get to work. Monahan gets to the garage and drives out his Ford Mustang. Then another scene shows Stafford and Underwood perform under a tree. Later, after Manahan explains how they met with his girlfriend and the song ends with Monahan singing a chorus for Linda. The song was recorded at the Ruby Red studios Venice, Los Angeles and integrated studios New York City.